Crisp and bright OLED screen ensures an easy, fun experience. The 50E is a rechargeable pulse oximeter that features next generation design built to last with powerful technology to accurately measure oxygen saturation (SpO2) and pulse rate through your finger. With a built in alarm, you never need to worry about your oxygen falling without realizing it. 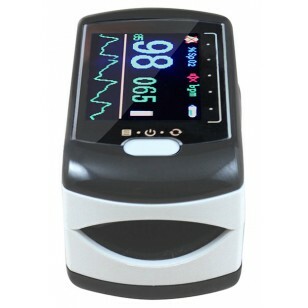 The 50E includes both auditory and visual alarms to alert the user if the oximeter falls outside of the set limits programmed by the user, as well as alerting the user if the unit's voltage is low or if the unit is not correctly placed for proper measurement. The bright, multicolor display makes reading your SpO2 an easy and enjoyable experience. The oximeter’s next generation display allows you to see your readings in 4 different directions. Additionally, the 50E comes with a rechargeable lithium-ion battery, doing away with the need of constantly replacing batteries that is typical in other units. The device charges when connected to a computer or connected to the power supply via power adapter. The CMS 50E has the ability to store 24 hours worth of data, and readings can be uploaded to a computer easily using the free software that is included with the device. Measurements can then be analyzed with the help of a medical professional or physician. 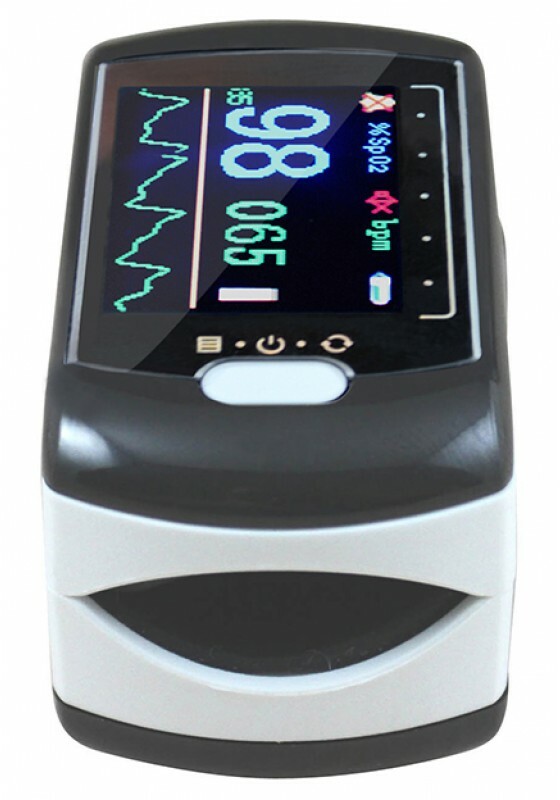 With the same size as a regular finger pulse oximeter, CMS 50E provides many features that are only available for expensive hand held unit. 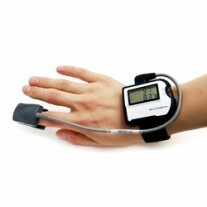 It is ideal for COPD monitoring, sleep study, home healthcare spot-checking, and medical professional daily practice. Free software to upload and analyze up to 24 hours of data at a time.